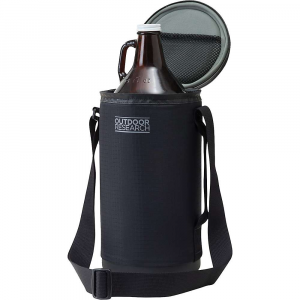 This insulated bottle carrier lets you transport hot or cold liquids into the backcountry. It weighs much less than a thermos, but offers similar performance. 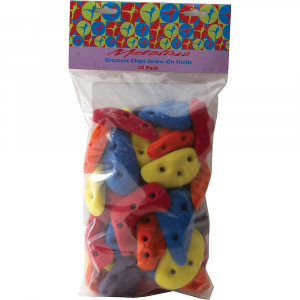 A reinforced nylon strap with a hook and loop closure allows it to attach to any pack and an updated design fits most modern day water bottles. Visit Outdoor Research's Water Bottle Parka page. 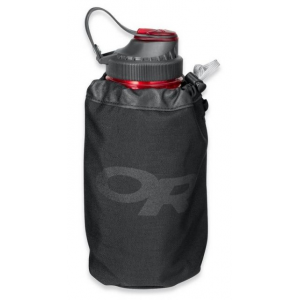 The Outdoor Research Water Bottle Parka keeps your cold beverages cold and your hot beverages hot in the backcountry. Able to fit a variety of bottles with an easy hook and loop attachment system that lets you keep it just about anywhere. This insulated bottle carrierlighter than a Thermos--lets you transport hot or cold liquids into the backcountry. 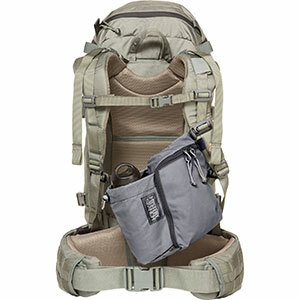 A reinforced nylon strap with a hook and loop closure allows it to attach to any pack. 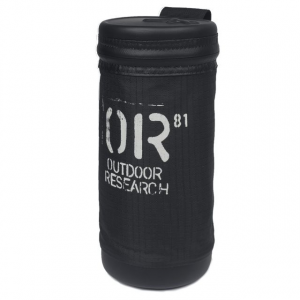 Outdoor Research Camp & Hike Water Bottle Parka-#1-Black 2426960001222. It weighs much less than a thermos but offers similar performance. 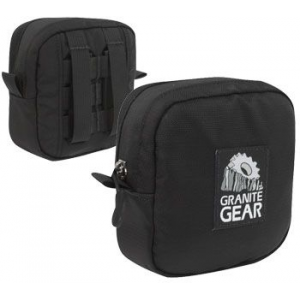 A reinforced nylon strap with a hook and loop closure allows it to attach to any pack and an updated design fits most modern day water bottles see details for sizing chart. The Outdoor Research Water Bottle Parka #2 turns almost any bottle into a lightweight, insulated container that lets you transport hot or cold liquids into the backcountry or just to the park.